The first TV commercial aired on May 2, 1941 by Bulova, the New York City-based watch company. At a time when TV was still a novel concept, this pioneered a tactic that would change the entire advertising industry — combining sight, sound and motion to drive an emotional reaction. Today, 74 years later, TV is still a vital vehicle for brand advertising. A recent Nielsen report showed that while viewership is decreasing, the average American still watches around five hours of TV per day– no small number for brand marketers. While there has always been print, radio and outdoor advertising to compliment, for most of history, the only option for multi-dimensional branding was good old linear TV. Today, Netflix has more than 55 million subscribers worldwide and is producing multi-million dollar, award-winning original content. 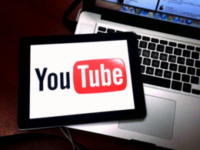 Around 300 hours of content are uploaded to YouTube every minute, with half of the medium’s views coming from mobile devices. Research shows that more than half of American’s now have smartphones in their pockets with increasingly large screens. This isn’t a ‘Video Killed the Radio Star’ situation. TV isn’t going away. But the model for purchasing that medium is changing. Demographic-based buying in TV was established in the 1960’s as a proxy to ROI. Technological advancements are paving over the bumpy roads that relied on those too-simplistic targeting methods. People aren’t watching less content– they’re just doing so in different ways, on different mediums. In fact, according to a recent Business Insider Intelligence report, approximately 50 million people in the U.S. now watch video on their mobile phones and fifteen percent of all online video hours globally are viewed on tablets and smartphones. “Traditional” TV is transforming and gaining the power of digital through technological advancements like set-top targeting and the programmatic delivery of ads. Digital now has the power of television with massive reach and the availability of premium content on any device a user chooses. Now, in addition to reach and content, digital advertisers can also embrace the ability to harness consumer data, deliver unified campaigns across devices, measure the effect of online campaigns to offline sales and even determine the sentiment response of how an ad is perceived through mediums like social media. We’ll need to continue to work with consumers to get this right, keeping them informed about data and giving them the tools they need to feel empowered. We’re well on our way with icons and opt-outs and you will see substantial innovation in this space in the coming years. The lesson we learned in yesterday’s TV model, that video is vital for driving brand awareness, still holds true today. Only in today’s video advertising world, we can take that brand engagement to a whole new level. There are now entire creative agencies and technology companies dedicated solely to producing digital video. Video ad spots are available in-stream between text articles on Facebook, Twitter and even SnapChat. Concurrently, industry organizations like the IAB are pushing the envelope on creative through programs like their Rising Stars ad formats. Interactivity and rich media design is quickly being integrated into both traditional and digital video. Ads are for us. They’re not for our devices. Buys are becoming increasingly holistic – fading fast are the days of silo-ed buying, and this includes television and digital video. Interwoven campaigns accomplish the greater goals of the brand more swiftly and with greater impact. By not targeting ‘iPhones’ or ‘linear televisions,’ campaigns that are built around the humans they were always intended to serve are seeing much higher ROI. Recent research from Forrester shows that 71% of customers react negatively to inconsistencies in brand experience across devices, and those inconsistencies will make around 1-in-10 people stop interacting with a brand altogether. The power of great advertising today still relies on the same thing that Bulova achieved back in 1941– resonant creative that reaches — and inspires action — from intended, interested audiences. It’s the holy grail. And when technology is at its best, it makes the grail that much easier to reach. Posts related to Lights. Camera. Advertise. Are Times Finally Changing for Traditional TV Ad Measurement?